I've always been intrigued by Anime. It's definitely something that's considered taboo, especially where I've grown up. To be interested in Anime, to many means you're interested in Manga and very unusual things, and typically a weird nerd. But being surrounded by both people who stigmatize around it, and people who enjoy it yet are very closed off, was confusing and seriously put me off it. But part of my CBT earlier this year, was to learn to express myself how I want, and I decided to delve into it a bit more. Let's look at each individual sailor scout, and each has their own personality that they depict. Sailor Moon is a "ditsy" girl, who can eat loads of food and loves to nap and not a care in the world. Now as a teenage girl, who suffered with chronic illness, this is literally me. However she is very independent (of course she has an interest in boys, but hear me out; we all had crushes back in the day! ), she is constantly wanting to prove herself and is strong willed. Sailor Mars is a fiery mature girl, who is seen as very spiritual, wise and confident. However, she has an insane disliking to Serena (Sailor Moon) in the anime at first, which obviously comes across as her own insecurities. Sailor Mercury is very quaint, quiet and into books. However she's very loyal, quick thinking and always there to protect her fellow scouts if needed. I would discuss looks in this blog post, but I wouldn't get far. Japanese culture is very set on the way a woman/man should look, and is still very conservative in it's television and film culture (This may have completely changed, please correct me if wrong). 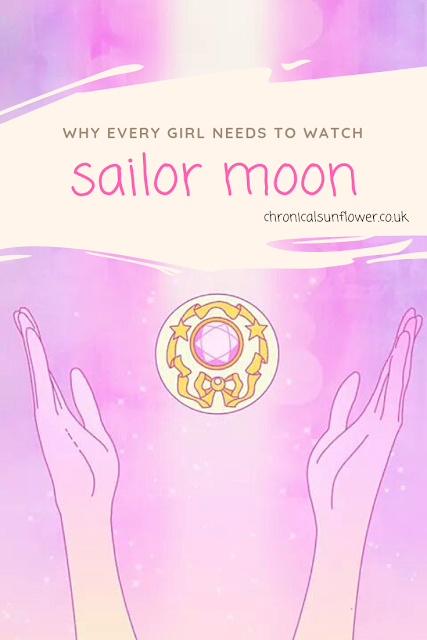 However there are many things that Sailor Moon breaks through, and has positive enforcement in other ways. Although what I'll talk about can be very controversial, I like to see the positives in it. In the first series, there is an episode where the evil guys of the Negaverse want to steal energy, by making the characters want to lose weight, and enforce excessive exercise. While this isn't exactly a healthy message, let's look at it in depth. The evil villains are telling the characters to lose weight, and they must overcome this and take down the villians before they take everyone's energy and take over the world. Although I believe healthy eating should be promoted, I think the subliminal message here was that, no one needs to change the way they are to truly love themselves, and you should always embrace yourself. I've always been a firm believer in, even if someone is overweight, they still have to live, and are still humans. So until they get help and/or get healthy (of course, not every person has to "get help"), they need to love themselves as they are right now. Okay, although there does seem to be a theme that TuxedoMask and Andrew are very important in the scout's lives, that doesn't mean they don't value friendship. Listen to the song. "Always there for a friend" because it's true. Although they may bicker, argue and want the limelight, they are always there to help eachother and work as a team in the end, while also having insane loyalty to their non-scout friends also. This is one I personally love. For something released in the 90s and within Japanese culture, the way in which this anime portrays things that many people would assume is more of a "now" thing, is brilliant. Let's take Sailor Uranus. She has short hair, and unlike the other sailor scouts, she is not quite as "feminine" which shows that it's okay not to be the feminine type. And sticking to the character, it is well known that Uranus and Neptune have a romantic spark between them, and it is never denied when brought up within the series. I think this is amazing, and for young teenage girls, especially those who may have feelings for other girls or who may be going through a confusing time with sexuality, hormones etc, it could really help them feel at peace. In the end, I just love Sailor Moon. It's very addictive to watch as it has a lot of episodes per series (sometimes 40+) and I think it can be great for young teenagers or anyone in their 20s, to give a sense of identity when watching. Plus it's cute characteristics, and excellent character portrayal, makes it a great show just to have a watch on a lazy afternoon! 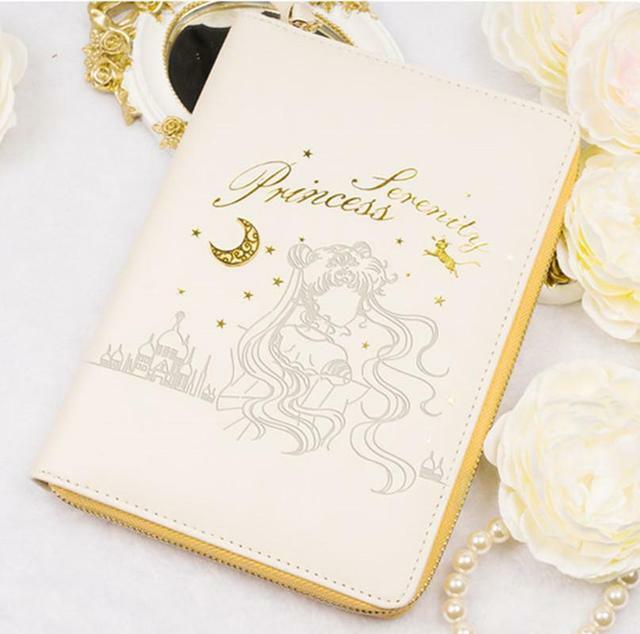 Do you watch Sailor Moon? Or have any other anime to suggest to me? I've never watched Sailor Moon, but my niece does! She loves everything anime, and is a talented artist! YESS! I LOVE sailor moon, I've been obsessed for years now and just can't get enough. I love the messages of friendship and loyalty, it's very nice to see anime promote that, especially the way this does.